Delta Airlines has joined two other major U.S. airlines in offering refunds to passengers worried about the Zika virus outbreak in many tropical countries. Customers with current reservations through Delta, who are concerned about traveling to destinations reported by the CDC to be affected by the Zika virus, "may qualify for a change to alternate destinations, travel dates or a refund." The Atlanta-based airline said travelers can make fee-waived changes to future reservations. The deadline to make any changes or cancellations is Feb. 29. United Airlines announced earlier this week that customers booked to fly to areas affected by the virus will be allowed to reschedule or get refunds. 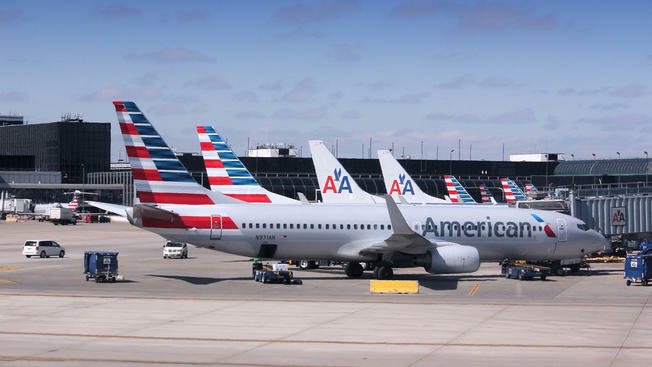 American Airlines said it will give refunds to pregnant women who were planning to travel to parts of Central America if they can provide a doctor's note. The U.S. Centers for Disease Control and Prevention have warned pregnant women to take precautions against mosquito bites when traveling to areas in Latin America and the Caribbean where there have been Zika outbreaks. The CDC said the mosquito-borne illness could be linked to a birth defect of the brain. A spokesman for Delta Air Lines said the carrier was monitoring the situation but not yet offering waivers. JetBlue Airways and Spirit Airlines were not immediately able to say whether they were offering refunds. Southwest Airlines said it was sticking to its normal policy, which lets customers who cancel ahead of time reuse the value of their tickets. All of those airlines fly to at least some affected locations. In Central and South America: Bolivia, Brazil, Colombia, Ecuador, El Salvador, French Guiana, Guatemala, Guyana, Honduras, Mexico, Panama, Paraguay, Suriname and Venezuela. In the Caribbean: Barbados, Guadeloupe, Haiti, Martinique, St. Martin and Puerto Rico. And Cape Verde, off the coast of western Africa, and Samoa in the South Pacific.